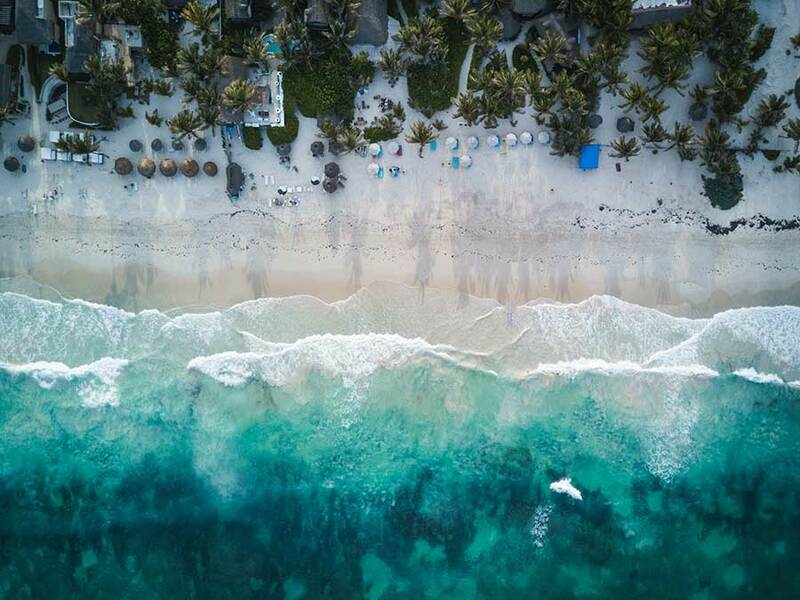 From a lazy fishing village in the 70s, when Tulum was mostly a destination for divers and backpackers seeking jungle adventures and beach life, it was not until the 80s that the blessed spot started to slowly conquer the hearts of a hippie crowd. How can you not fall in love with a sweeping eternal beach, fresh coconut, pristine turquoise sea, beach shacks, all for you and very cheap? 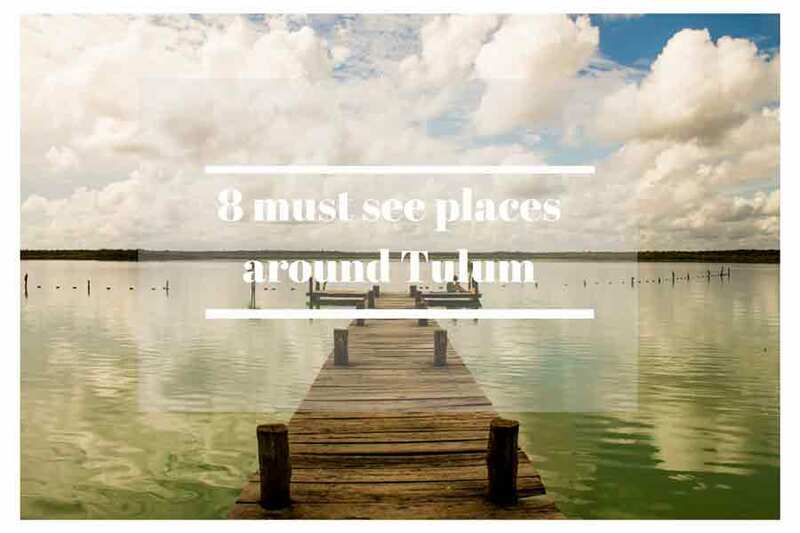 Now it is not so affordable anymore but despite its consistent growth through the years, Tulum managed to keep the same old feeling of a laid-back lazy town, where there is nothing else to do then live the life, enjoy the breeze and become one with nature. 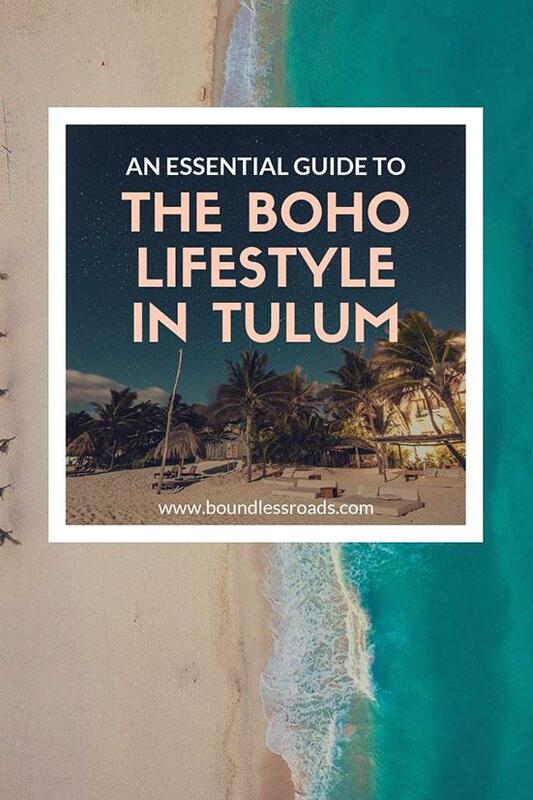 Tulum has been attracting a special crowd of bohemian eco-architects, eclectic wealthy entrepreneurs, millionaire art collectors, photographers, fashionista, yogis, artists of all sorts, who slowly shaped and crafted the hip exclusive place that it is now, or at least the hip side of Tulum. 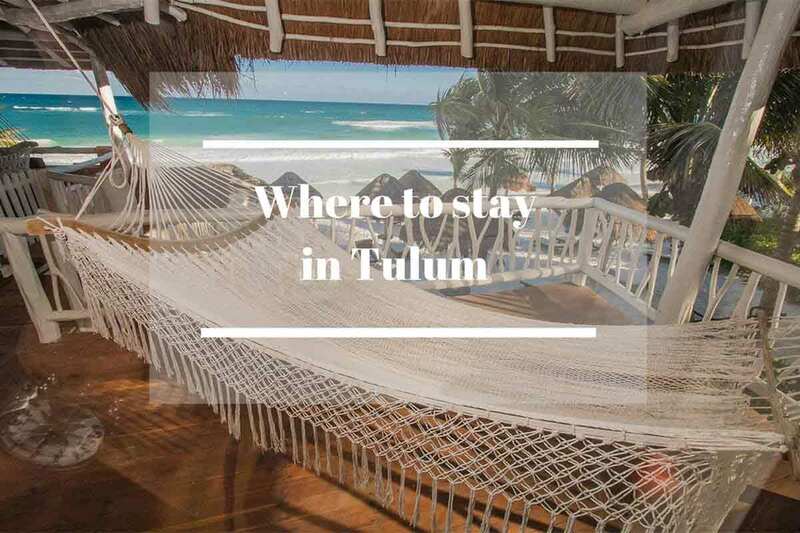 What helped Tulum to keep the laid-back appearance and its funky vibes while growing its exclusive side? 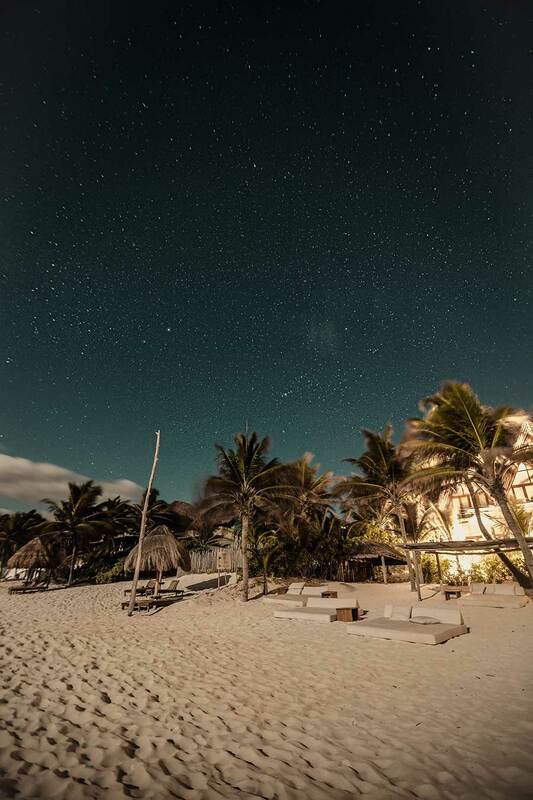 That careless look hiding a fancy soul is exactly what makes Tulum so appealing. For sure the fact that there are no big hotels, no brands or chains has a lot to do. The place keeps growing along the infinite coast all the way through the biosphere of Sian Kaan and new hotels are showing up every quite often, but each one with its own exclusive personality and character, embracing the jungle style, and eco-friendly practices and adding up to the beauty and artistic spirit of the boho movement. It’s a pleasure for the eyes and a treat for your soul. Together with the bohemian trend comes a holistic attention to our body, as the temple of our spirit. As a matter of fact, it seems like everybody in Tulum just came out from a fashion magazine and probably most of them are. But even if you are not from the same crowd, you just can’t help but feeling part of it, like a star in a starry sky. Places like Casa Malca, Nomade, Sanara, Azulik don’t only give you a room, they provide a blissful experience, the Spas don’t offer you a massage, but a rejuvenating holistic treatment, the restaurants tickle your soul and cheer your eyes besides feeding your stomach. Be it a romantic getaway, an adventurous escape with friends or a solo time, there you will find your magic place. Everything you are looking at, every single detail is carefully chosen for maximum sensory enjoyment. 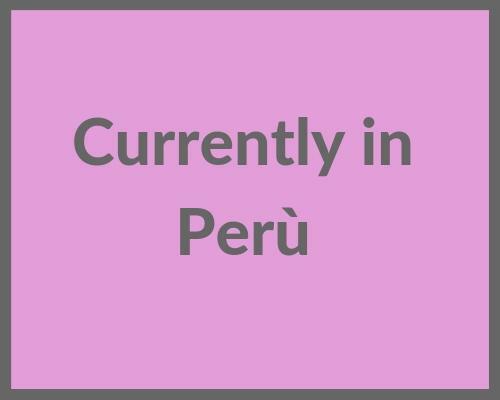 There is also boho clothing and accessory lines world, the most part of which is made in Tulum or, even better in the local indigenous villages of Mexico, and it seems that the voice is spread through the streets of NYC and Los Angeles, where they are setting trends and taking orders. 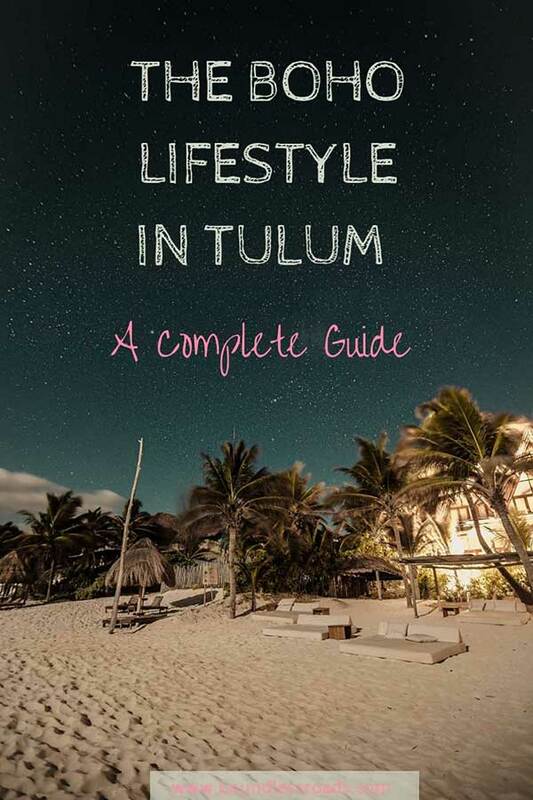 Because in “this” Tulum people care about cultural preservation and giving back to the locals and that’s what people want, to be part of a social cause, while staying glamourous. Like Wanderlustulum boutique, where the owner, Francesca Durante, one of the Italians that fell in love with Mexico, spends a lot of time researching and scouting original textiles from the indigenous population helping them to spread their spectacular craftsmanship without being exploited by the big brands. Authentic and organic are among the words that you hear the most, which seem to have turned on an unspoken tolerance for the outrageously inflated prices in a way that goes beyond acceptable for us, the “average people”, those who live in the real world. But once you know how it is, you accept it, it’s Tulum, after all. 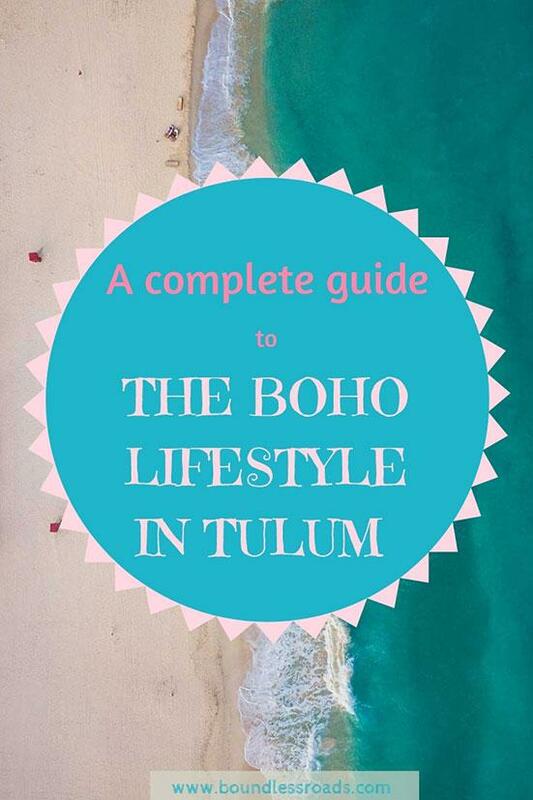 But money is not a concern for the graced-by-the-divine tribe, of the boho Tulum. It’s not a plate of raw veggies that you are paying for, or the precious Indian rugs where you are sitting, the velvet drapes, the jungle-inspired rooftop, the vintage doors, the organic greens, the ancient pottery, or the “Medieval Persian Canvas”, it’s the entire whole that makes you feel like you have just been sprinkled with fairy dust and allowed in the magic realm of the boho tribe. Nothing is left to chance, although they want it to look like that. 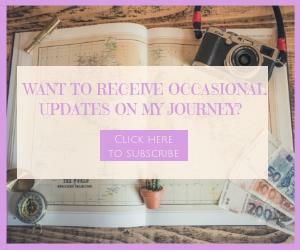 It’s an artful marketing gizmo that we all love so much and are happy to yield to. 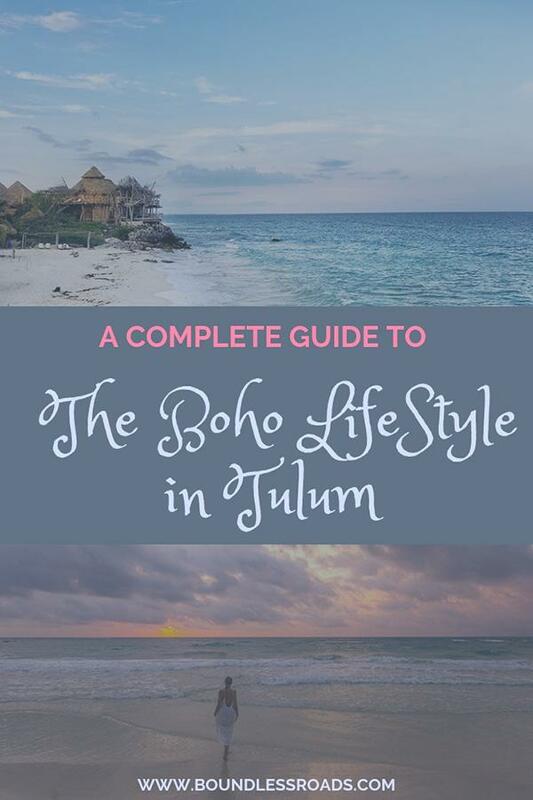 If you want to join the Boho Tulum here is your directory of places where to hang out. Azulik Eco-resort and Spa is the hit of the moment and I have a feeling it is set to last for a good while. Its unique unrivaled style, besides its serious Instagram potentials, is paired with exceptional views of the turquoise beach and a topnotch restaurant menu. 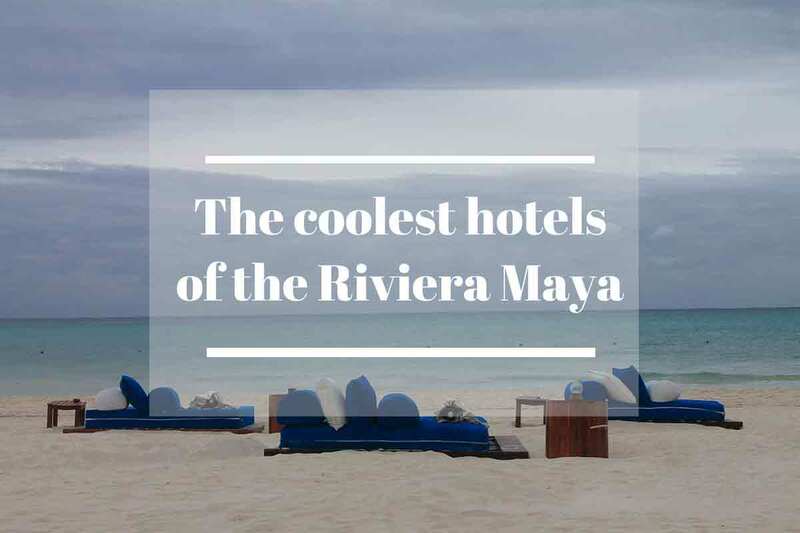 Among its features, it’s an adults-only beach resort and Mayan Wellness Centre. The rooms are bohemian wooden tree houses whose minimal decorations are made from Mexican royal ebony Khatalosh. The beach is private for the guest only and has a clothing-optional choice. All have a private deck with outdoor day beds, seating areas and views of the lush jungle and the Caribbean Sea. You don’t have a TV in the rooms phone or electricity to let you connect only with nature. The spa is also one of the most rated in Tulum, offering their traditional Mayan therapies. 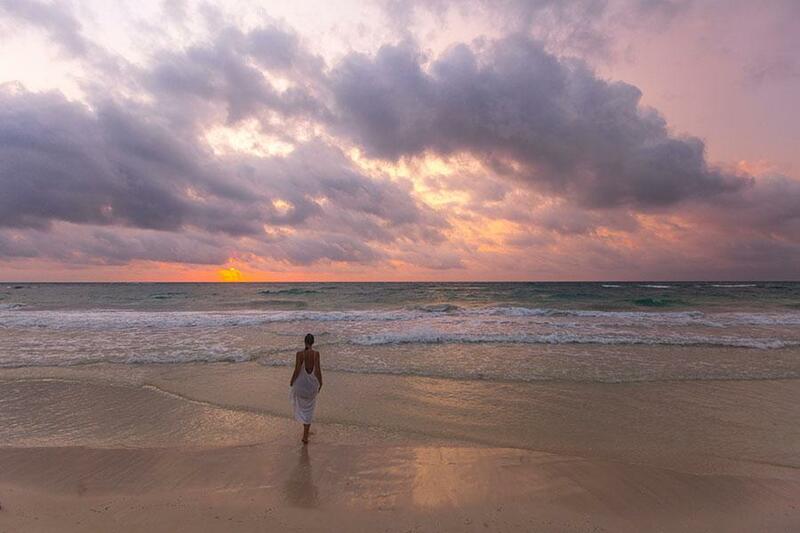 Be Tulum epitomizes the Luxury Lifestyle. A magnificent blend of jungle style and sophisticated interior. It’s one of those places that makes you feel cool and fancy even in your worse day. Impeccable service and private pools are among the guest favorites. Owned and thought by the New York Art Collector Lio Malca, whose important projects have included the launch of retrospectives at New York’s Whitney Museum, it’s no surprise in seeing such elegance and taste enclosed in the 41 rooms hotel. The architects managed to merge different worlds, contemporary art with an overwhelming jungle, an outstanding beach and the finest amenities, all in front of a sweeping turquoise sea. There you breathe a cozy, laid-back atmosphere, a luxury retreat to reconnect with your senses. Oriental Rugs on the beach, cushions, and puffs at the restaurant might seem awkward but it’s Tulum, and they know what they are doing. 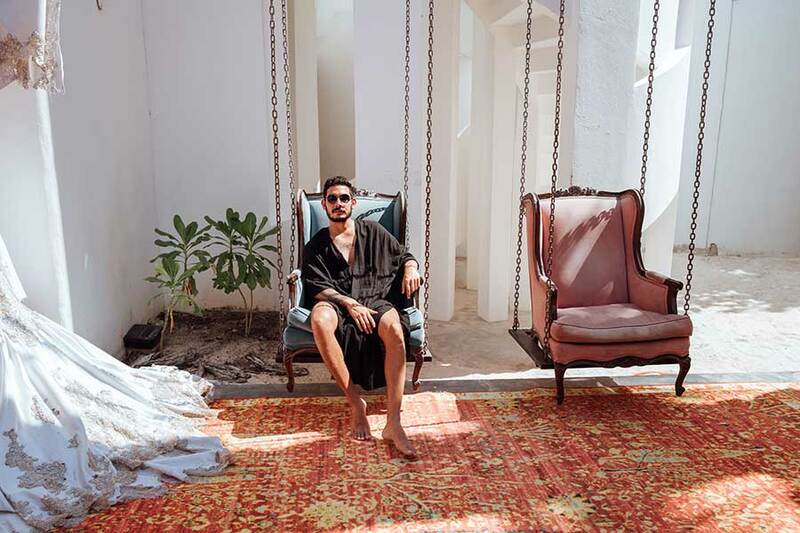 The Moroccan style is felt throughout the property, whether you choose the glamorous tent or the luxury suite, both perfectly designed and furnished with elegant oriental objects and the finest amenities. The restaurant offers a visual experience beside the healthy food. In fact, they have a special focus on vegan cuisine and healthy leaving, although no worries, your favorite cocktails will be served all day and night. A new fancy property with minimalistic architecture; essentially chic, it gives a relaxing and sophisticated atmosphere. One of its main features is the refined gourmet vegan menu and the best yoga space ever, overlooking the stunning beach of Tulum; an ideal place to take care of yourself, both inside and out. A side note: It’s made for the yogis but you don’t need to be one to fall in love. Hartwood – prepare for a long line as they don’t take reservations and it’s always full. But apparently, it’s worth it. 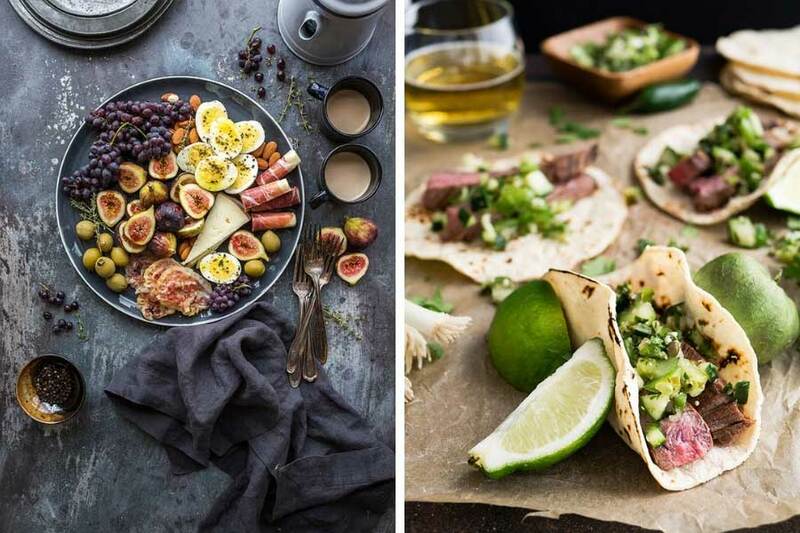 The setting is the typical Tulum boho style, vintage wooden tables in jungle vibes but the food is what makes all the difference. Arca – You don’t want to miss the remarkable work from the eclectic international chef José Luis Hinostroza, who is also the co-founder of the restaurant. He has Noma in his curriculum. Just saying. Macha mama’ – for a healthy breakfast bowl or a fresh smoothy break in your sunny day. On the beach road. Sanarà hotel – Wooden deck and glassed walls make sure the turquoise seafront view won’t distract you from your high-class yoga practice. There is actually no better location where to find yourself. Gitano – although it’s also a restaurant, it’s definitely most popular among the night-life lovers, for after dinner cocktails and music – one of the most vibey places in Tulum. Papaya Playa, besides being a hotel as well, this is the most popular night venue, especially in the weekend and Thursdays but most of all it is known for the memorable full moon parties, which, for the records are held also when it’s not a full moon. You will find it in the jungle of Tulum, in the heart of the beachside, right behind Hartwood restaurant. 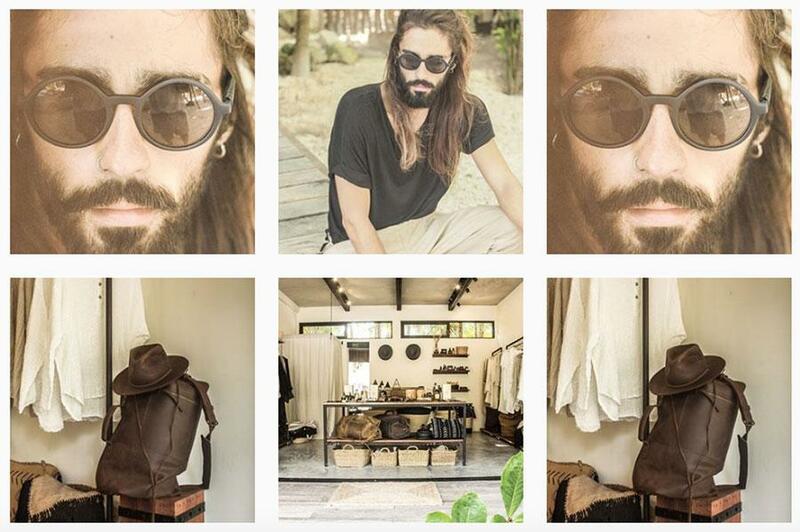 The best clothing and accessory personally selected and/or designed by the owner, Francesca Durante, who managed to craft an harmonic fusion between the Italian taste and the Mexican soul. You can read more about it here. The finest interior design accessories, made in Mexico and carefully selected.